Cryotherapy, or as the original Greek of the name suggests, ‘cold cure’, has existed in some form or another for a long time. Although it has evolved into a fairly sophisticated system in the present age, it was one of the earliest, primitive cures. Many older women today will tell of having their earlobes frozen with ice cubes prior to piercing. Although this is more in the nature of anaesthesia or pain relief rather than treatment of any disease, it clearly shows that controlling temperature as a form of home treatment is truly nothing new. Even cold sponging, which was widely used up to the present age to reduce escalating body temperature or ‘fever,’ is really cryotherapy in its most primitive form. Prior to the emergence of a powerful medical profession in western civilisation, much of the treatment for illnesses was performed at home with mothers, aunts, grandmothers and wise women of the locality in attendance. Some of the treatment was appropriate, but many were erroneous. 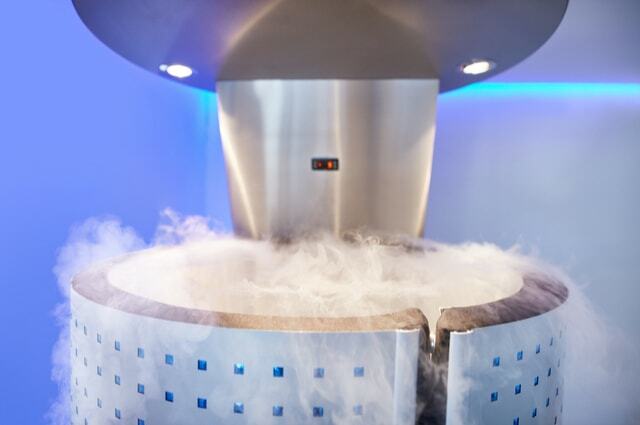 So when did ‘cryotherapy’ as it is known today, begin to emerge? According to the article ‘History of Cryotherapy’ which appeared in the ‘Dermatology Online Journal’ by Antoli Freiman MD and Nathaniel Bouganin MD, of the Division of Dermatology, McGill University Health Centre, Montreal, a form of the treatment was being used by ancient Egyptians four and a half thousand years ago. It was used to treat injuries and inflammation. The article also states that Dominique-Jean Larrey, Napoleon Bonaparte’s personal doctor, used it to aid in amputations of the limbs of war wounded. From emergency therapy for injuries and amputations, it is now mainly used to treat skin conditions. According to the Freiman-Bouganin article, the late 19th century saw the emergence of cooling gases, developed especially for use in this treatment. The pioneers of cold gas development were the French physicist Louis Paul Cailletet and Swiss physicist Raoul Pictet. In 1889, a physician from New York, Campbell White, was one of the earliest physicians to report the use of liquid gases for the treatment of a variety of skin complaints including warts, herpes zoster and epitheliomas. In 1907, another New York surgeon, Whitehouse, reported the treatment fifteen skin cancers. In the early 1900s, Dr William Pusey of Chicago introduced the use of solid carbon dioxide, again for the treatment of various skin complaints and diseases. In the 192o0s, Irving and Turnacliff described positive outcomes with liquid oxygen. However, this substance being inflammable, it was rather dangerous. In the post World War II era, Dr Ray Allington used swabs dipped in liquid nitrogen to treat various skin complaints and diseases. Modern cryosurgery developed with Irving Cooper, physician and Arnold Lee,engineer. They developed a modern cryosurgical probe using liquid nitrogen. More cryosurgical apparatuses were being developed in the 1960s. Cryotherapy continues to evolve throughout the years as an acceptable way to treat a variety of skin complaints, both malignant and benign. Nowadays, you can use integrated cryotherapy chambers or have cryosauna treatments as well as whole body cryotherapy. To find out more about these treatments contact us at CryoAction.